Wade Herndon is betting on Spring-Green Lawn Care to greatly expand his customer base. The 20 year green industry veteran used the Green Associate Roll In Program to add a Spring-Green Lawn Care franchise to his business portfolio in order to reach more residential customers seeking lawn and tree care. Herndon’s Spring-Green Lawn Care business opened its doors on January 1, 2014 and will serve Horry and Georgetown counties in South Carolina. Spring-Green delivers traditional and organic lawn and tree care services to residential and commercial clients nationwide. A recognized leader in the professional lawn and tree care industry, Spring-Green has been beautifying neighborhoods and communities for more than 36 years. The Green Associate Roll-In Program is a fast-track program designed for qualified candidates who own independent green industry businesses that already provide professional lawn and tree care services and would like to convert that portion of their business to a Spring-Green franchise while keeping their existing company intact. Herndon has owned Evergreen Landscape for 20 years. He decided to expand his business in order to get back in the residential market for maintenance and landscape, as well as having two complementary businesses which round out his green industry business portfolio. He will be joined in this business by his wife Tracy, as well as their five children, some of whom also have green industry experience. He says he was impressed by Spring-Green’s excellent reputation and solid franchise systems. Herndon is looking forward to the launch of his Spring-Green Lawn Care business in 2014 and hopes to expand his territory in proportion to customer response in the next three to five years. Founded in 1977, Plainfield, Illinois-based Spring-Green Lawn Care has been delivering lawn and tree care services nationwide for over 37 years. Its service is centered on the beautification of residential and commercial customers in middle-class and affluent neighborhoods and communities. Spring-Green is an attractive opportunity for entrepreneurs and existing green industry business owners who want to align themselves with a franchise opportunity that has proven economic resilience, healthy profit margins, industry leading business and marketing intelligence, recurring revenue and retirement & family planning through business ownership. Spring-Green currently has 117 franchises operating in 26 states. Spring-Green Lawn Care franchise owners gave the franchise opportunity a 96 percent overall quality rating, according to the Franchise Research Institute September 2013 survey. 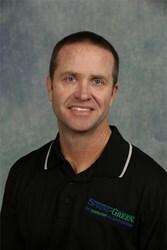 For more information, visit http://www.springgreenfranchise.com or http://www.spring-greenfranchiseblog.com.